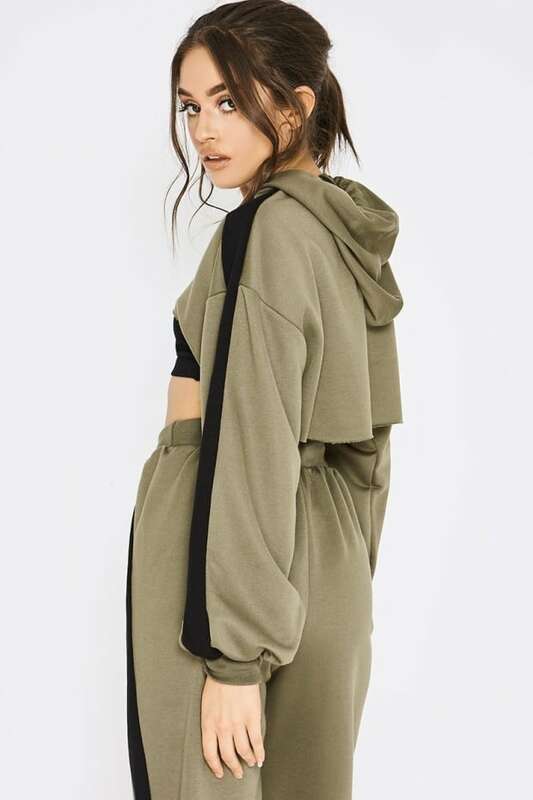 Be bang on trend this season wearing this Pia Mia hooded sweater! 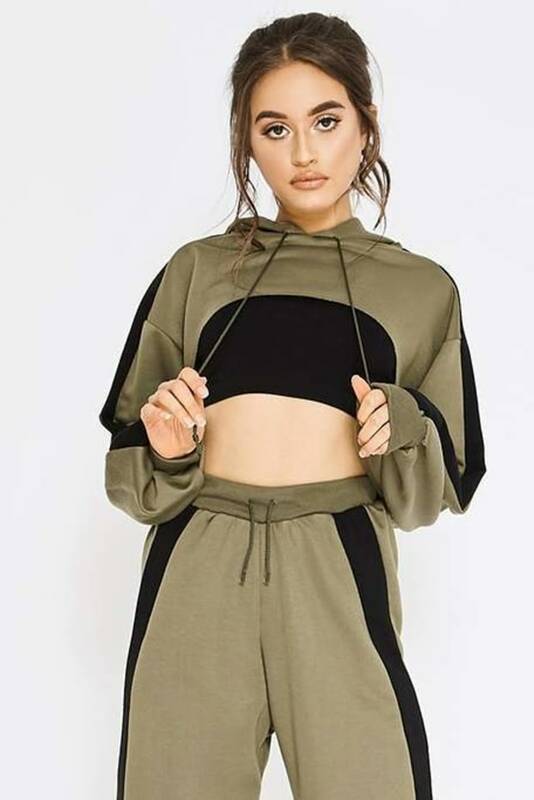 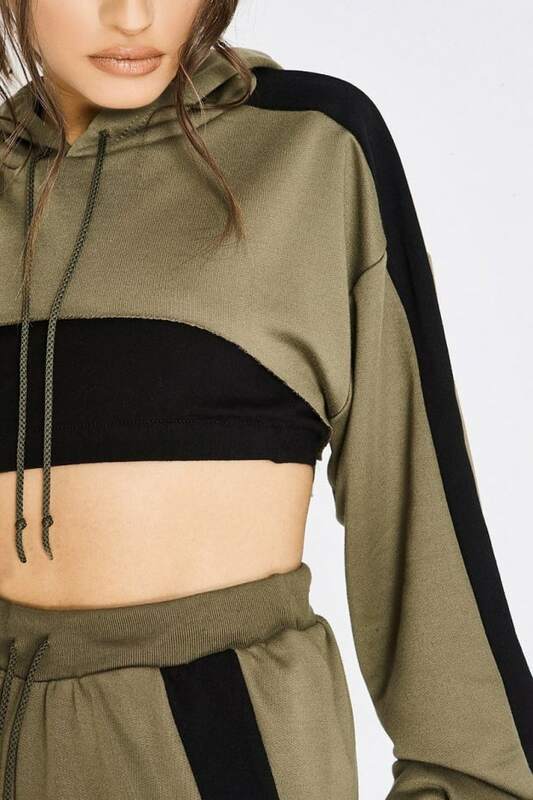 In a sassy khaki hue featuring unreal cut out detail, long sleeves, contrast stripe detail and drawstring hood, this beaut sweat is a wardrobe must have! 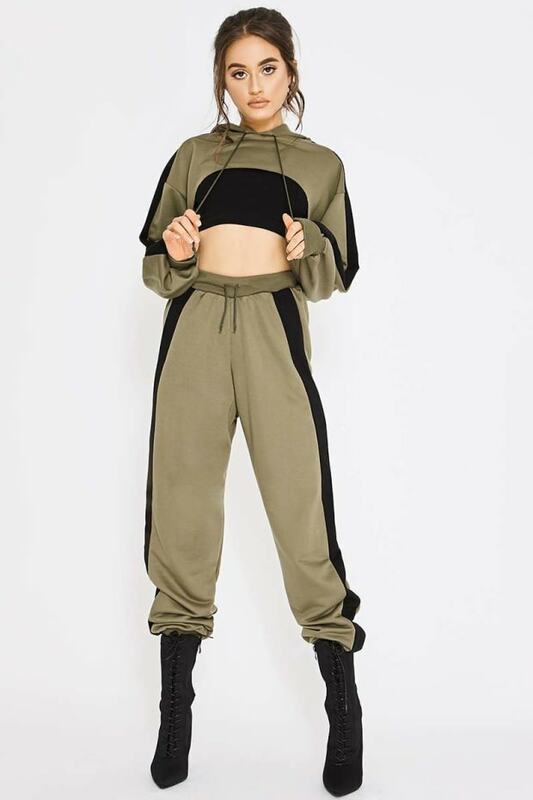 Pair with matching joggers and style it up with some killer heeled boots for ultimate outfit goals.